We spent 12 nights here in August. The apartment was spotlessly clean and well equipped. The air conditioning upstairs was welcome. The complex is quiet with lots of young families. The pool is nice and rarely busy. The walk into Lazise is around 15-20 minutes but this avoids the trouble finding parking places in the town. "The amenities are in very good conditions.The owners are friendly and ready to help in every case. It was easy reach any place for sightseeing. I would recommend to stay here for everybody." "The apartment is clean and quiet, very nice and well equipped - giving a very comfortable feeling. It is ideal for a family of four or five people. We spent in it the last two days of our holidays in Italy, but there is so much to do and see in this area! Next time we'll stay for a longer period." "Excellent, good clean apartment, just like the owner pictures. Lots of useful information in the apartmant." "Very nice appartment. Clean and reasonably well equipped. Lazise is a lovely small town on the lake where we ate every night. It is a good 25 min walk from the appartment down a busy main road to the town, which was too much for our children, so we drove in the car as there is plenty of parking available. Overall we had a very good holiday." From the motorway at Peschiera d/Garda along the lake, to drive, just a few 7 km distance you are at Lazise. Airport or railway tranfert upon demand. Our apartment is ideal for families or friends. In the surrounding area to see and do during your stay, the park of Gardaland, Seelife, Movieland, Medieval Time banquet show, (all with a complimentary bus service at 500 mt).Whitin easy travelling distance the Natura Viva zoo safari park and the botanic Sigurtà. Garda lake is an ideal start point for enjoyable trip to nearby cities of art: Venice, Vicenza, Padua, Verona, Mantua, Ferrara, Brescia, Bergamo, Milan, Trento and the Dolomities. Don't forget to see at Verona the opera season on the Arena from June to August. Only 2 km there are a beautiful thermal of Villa dei Cedri, open in winter too with hot water 37° and wellness centre, the other thermal Aquaria spa at Sirmione 16 km, both are highly recommended. At Malcesine take the cable and in 15 minutes you will be on the top of Monte Baldo, that overlooks the lake is absolutely breathless and in winter you also may sky. 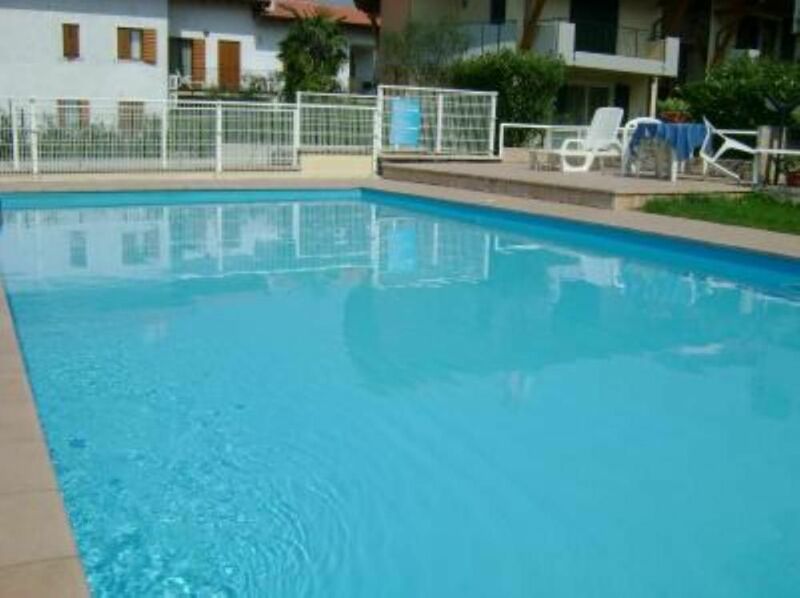 Very important Golf Country Club are in the surrounding of the Garda lake for your pleasure.